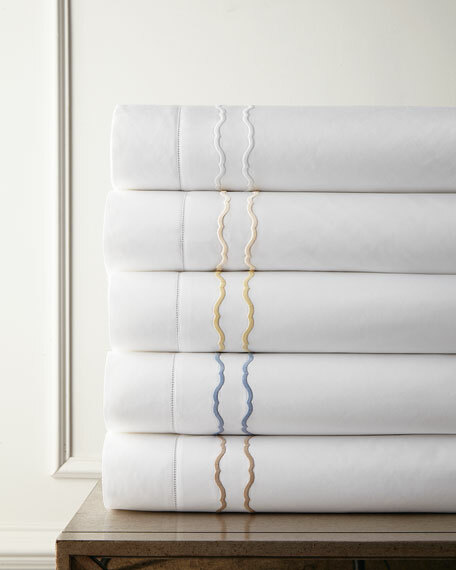 Duvet cover stitched with two lines of decorative embroidery. 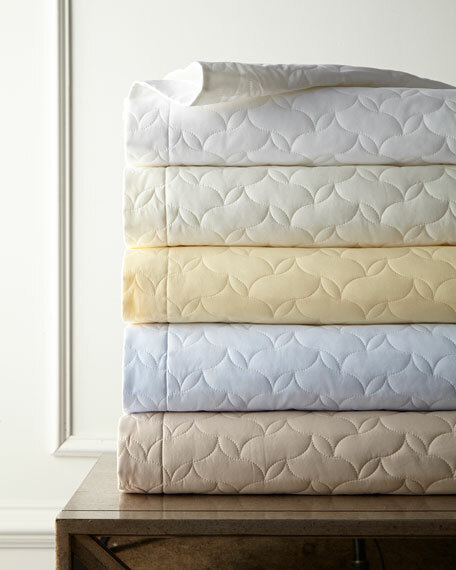 Quilted in a stylized cloud-shaped pattern. 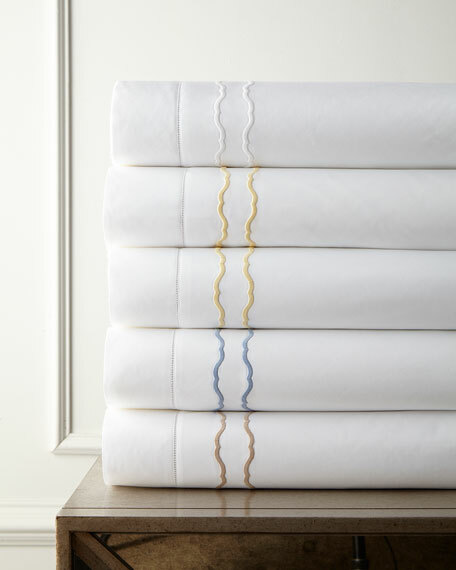 Coordinates with Embroidered Percale bedding. 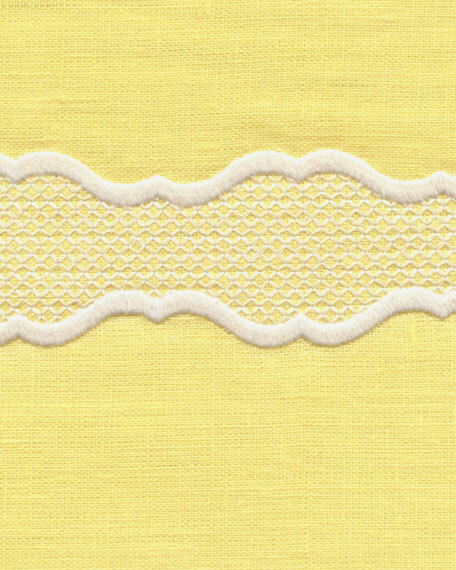 European sham stitched with two lines of decorative embroidery. 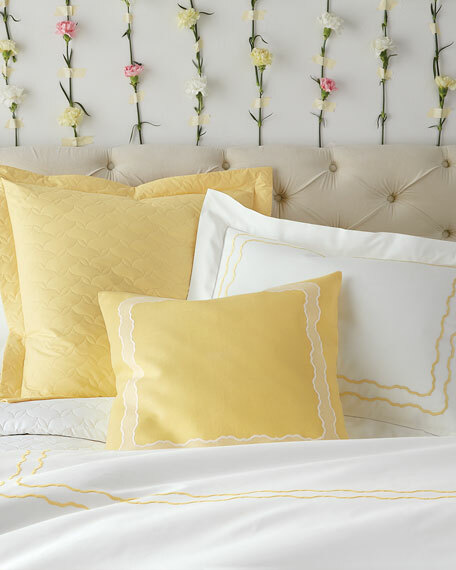 SFERRAEmbroidered Linen Pillow, 17" x 30"
Decorative pillow of European-woven linen. 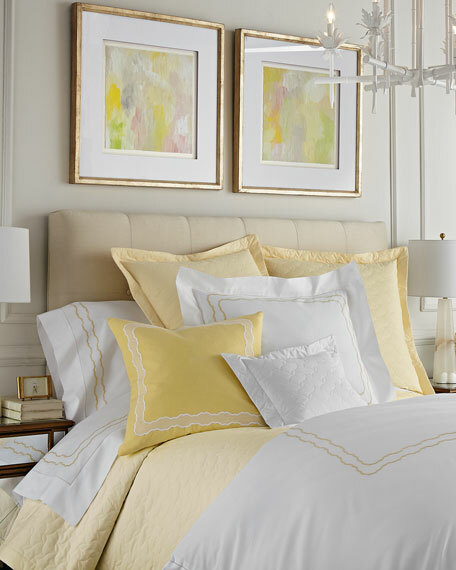 Coordinates with Embroidered & Quilted Percale bedding. 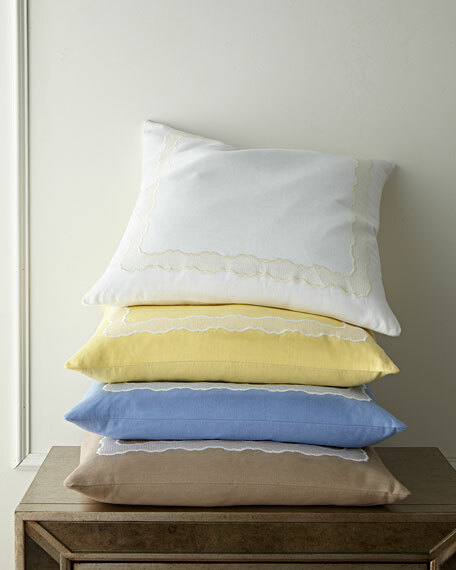 SFERRA Embroidered Linen Pillow, 22"Sq. Pillowcases with hemstitch border and two lines of decorative embroidery. Set of two; each, 22" x 42". Set of two; each, 22" x 33". 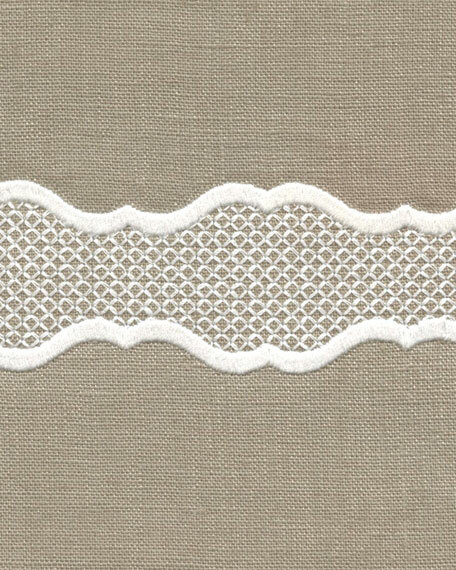 Sheet with hemstitch border and two lines of decorative embroidery.